Invigorate your senses and indulge with an aromatic cup of Big Train's Blended Ice Coffee! Made with pure Arabica coffee, with no hydrogenated oils or trans fats. 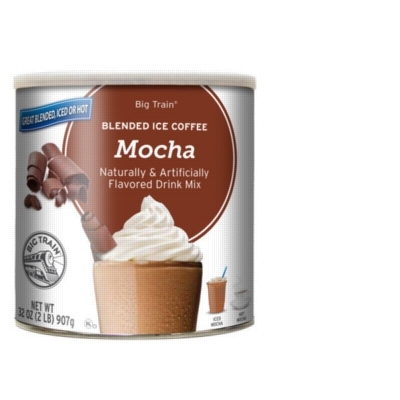 Simple to prepare - just add water (or milk) & ice, blend, top with whipped cream, and enjoy a decadent coffee frapp� home! Can also be prepared as a delicious cafe latte by just adding hot water!